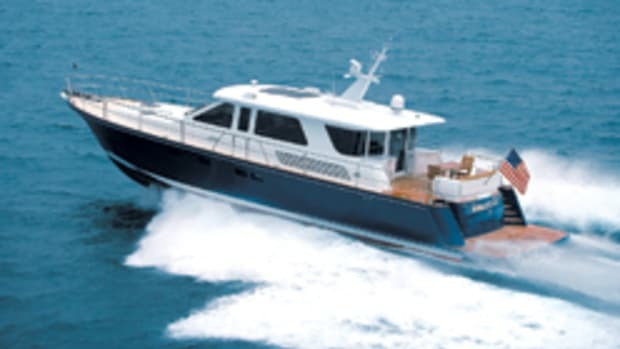 The Altima 61 Pilothouse is a scaled-up version of the builder&apos;s 56 Pilothouse. But the addition of 5&apos;1" did not necessitate a significant increase in either clearance or freeboard—the freeboard of 7&apos;7" forward and 5&apos;5" aft remains the same, while the clearance to the top of the radar arch increased three inches to an even 19 feet. This change stretches out the vessel and makes her appear more streamlined than her predecessor. 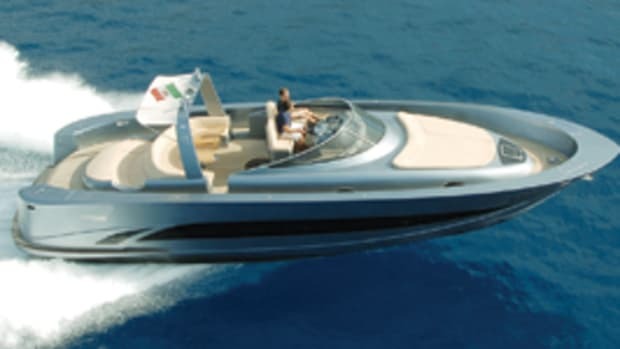 Her extra waterline length also increases hull speed. 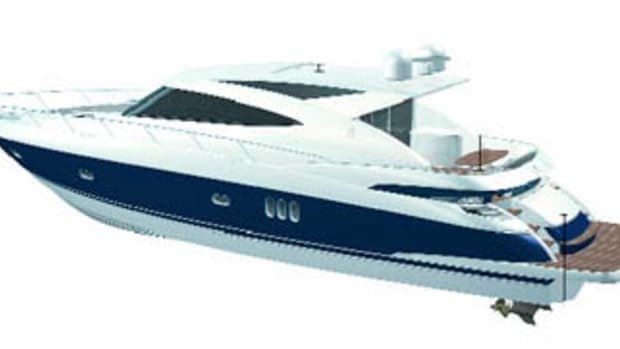 Altima says that the standard twin 800-hp Caterpillar C15 diesel inboards will move the 69,500-pound-displacement vessel at upwards of 20 knots with the help of four-blade nibral props. Optional dual 715-hp Cummins QSM11 powerplants are available for those who want more efficiency, while 1,015-hp Cat C18 ACERTs can be installed for those with a thirst for speed. 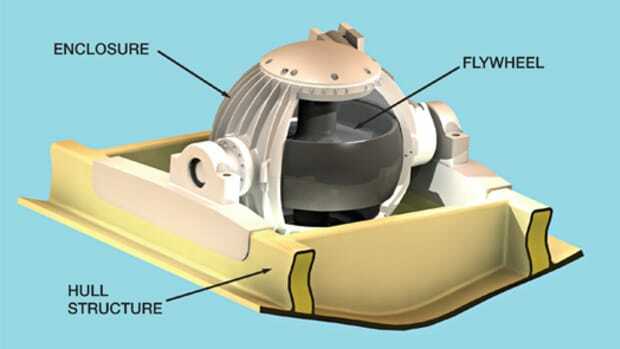 An electro-hydraulic hatch in the cockpit lifts to allow access to the lazarette/workspace; access to the engine room is via a double-dogged door in the lazarette&apos;s forward bulkhead. 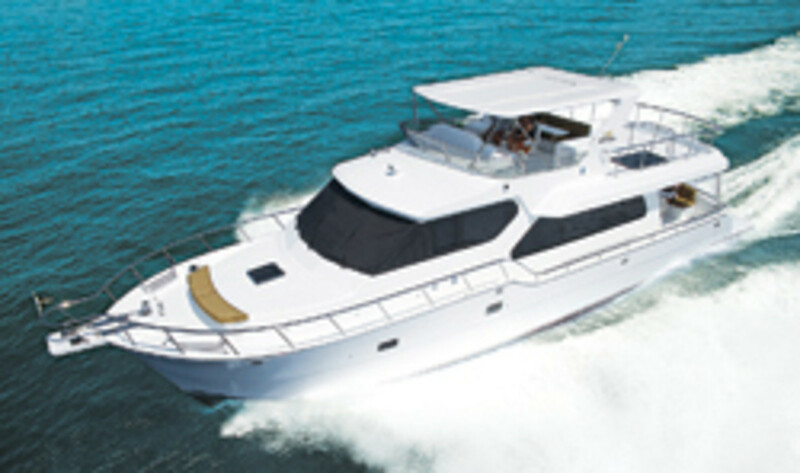 The standing-headroom ER houses a couple of upgraded components compared to the 56&apos;s, including a 211⁄2-kW Onan genset with soundshield and a compressor for the 90,000-Btu Marine Air air conditioner. Altima did keep many features the same, however, including its signature woodwork. Grain-matched teak ovals adorn the overhead of the saloon, drawing your gaze forward toward the galley-up to port. 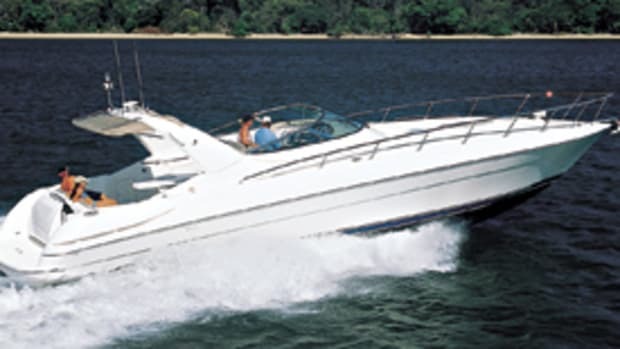 A large entertainment center to starboard separates the centerline helm from the saloon. 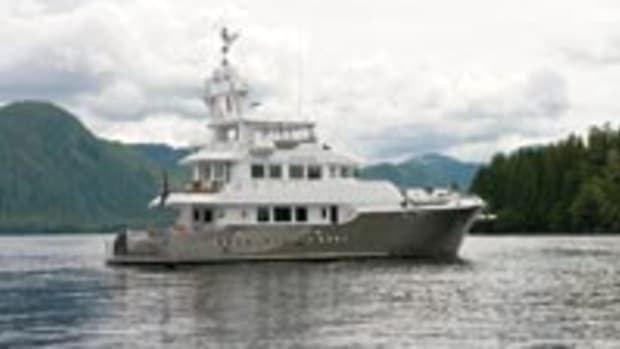 The base price for the yacht is $1,649,000. 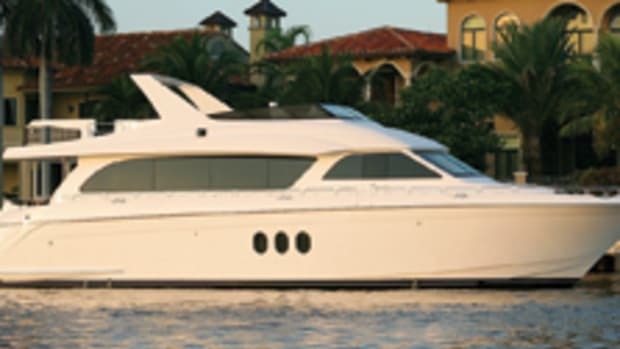 For more information on Altima Yachts, including contact information, click here. 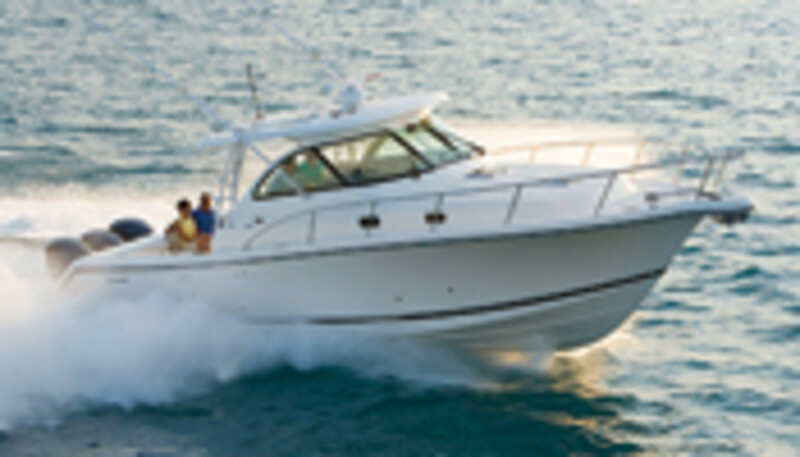 At 13 feet across, the Pursuit OS 375 Offshore is one of the beamiest boats the builder has ever launched. Her girth allows her to to sleep six adults with the help of both a fold-down settee and an extension for the V-berth in the forepeak. 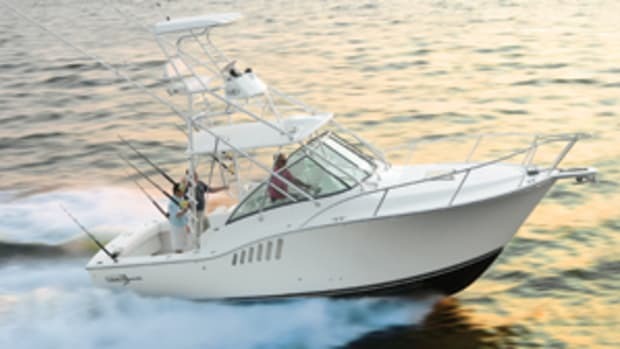 The 375 is available with two factory-installed engine packages: twin or triple Yamaha F350 gasoline outboards (the 375-gallon fuel tank remains the same). These massive blocks, the biggest Yamaha currently offers, come with the manufacturer&apos;s electronically actuated Command Link controls that smooth out throttle movement by eliminating cable friction. 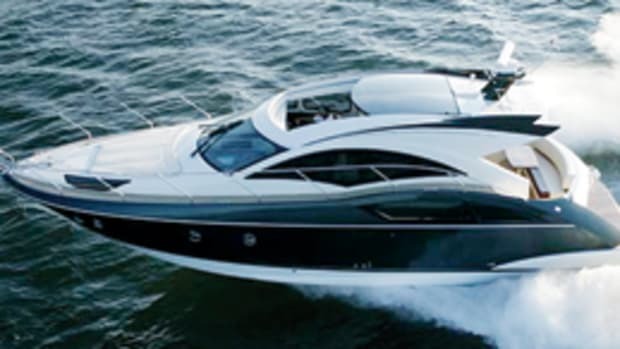 For more information on Pursuit Boats, including contact information, click here.